I will always remember Mr. Leck giving us a seven-piece musical work made up of poems written by Jewish people during the Holocaust. This piece was to be sung at one of the synagogues for Holocaust Remembrance Day. The last song was called “I Never Saw Another Butterfly” written by a boy who was in the Terezin concentration camp. I remember performing that particular song for the survivors at the ceremony. I saw my Jewish friend Jonathan Freedman with tears coming down his cheeks. All of us had tears. I found out later that his grandmother was one of the survivors in the audience – a survivor of Auschwitz and the only survivor in her family. That day changed me and the way I looked and admired Jonathan. When you are in the ICC, you are in a cultural melting pot. 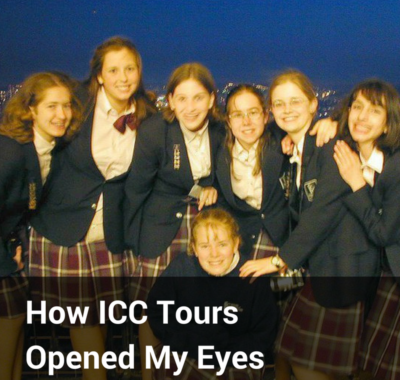 That was one of my favorite aspects of the ICC. 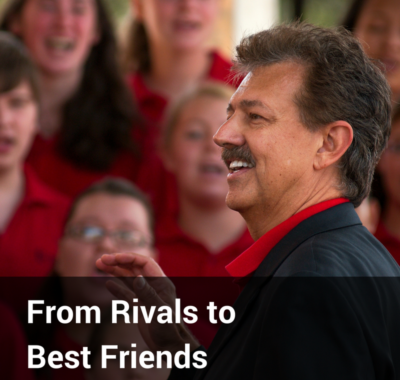 Everyone had different backgrounds but they were kids just like me, coming together to sing. At the time, I lived in a small town where there wasn’t much diversity, but I was blessed to learn to appreciate diversity. ICC Helped me to be more educated, open, and eager to work with others that are different from me. It has helped me working as a librarian to interact with people in the community with varying backgrounds, especially in this political climate that we are in. I learned to understand, to ask questions, and to be more empathetic and compassionate. I thank the ICC for this and continuing this principle. 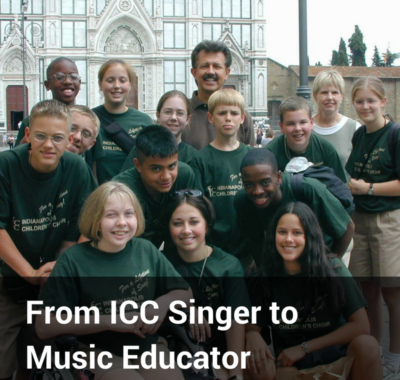 ICC is a place for all cultures and all walks of life to come together and be embraced by music.